PRG was approached by inclusive Italian bathroom designer Ponte Giulio to freshen up and modernise its website for the UK market. The company wanted to improve overall user experience and create a sleek and up to date design that would both attract and engage potential customers. PRG was the perfect fit for the job, with our dedicated and experienced web design team on hand to design and implement the client’s desired brief. Our expert team of web designers put together a strategy for improving the user experience and appearance of the website. We freshened up the design to achieve a modern, aesthetically pleasing webpage, simplifying the navigation to ensure a much improved user experience and an easily navigated website. We introduced Google maps on the website ‘distributors’ page to allow users an easy and visual method of locating stores. In addition to this, to further ensure an efficient and simple user experience, we introduced a filterable table of stores. Smaller enhancements also included the addition of a downloadable version of the company’s product catalogue to the website, broken down in to three areas; product, range and sector for ease of navigation. In order to ensure calls to action were well placed and easy to locate, we created a new contact form and a tidier blog layout. To ensure the website was suitably optimised for mobile, the web team also improved the responsive nature of the website to provide a better experience for the ever growing amount of mobile and tablet users. 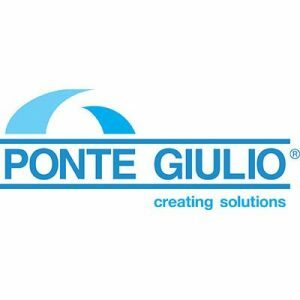 The Ponte Giulio website is now working well as a responsive and informative tool for the business’ customers. As the business grows in the UK markets, the company can now use the new and improved website to generate brand awareness in its target markets, attract potential new business leads, acting as a shop window for the brand online. Do you need help designing and creating your very own responsive website? Call us on 01323 411044 or email us your enquiry.